Happy Beauty Monday! My twin sister knows I love perfumes and body mists so for Christmas last year She bought me two different lotion and fragrance mists from Victoria’s Secret, our favorite store. I’ve been wearing both of them and so I thought now would be a great time to share my thoughts with you all so keep reading for all the deets. Description: Skin nourishing and fast absorbing lotion for a full 24 hours of hydration. Layer with mist for a long-lasting scent. Description: The perfect accessory! Change your mood. Change your scent? Collect them all. 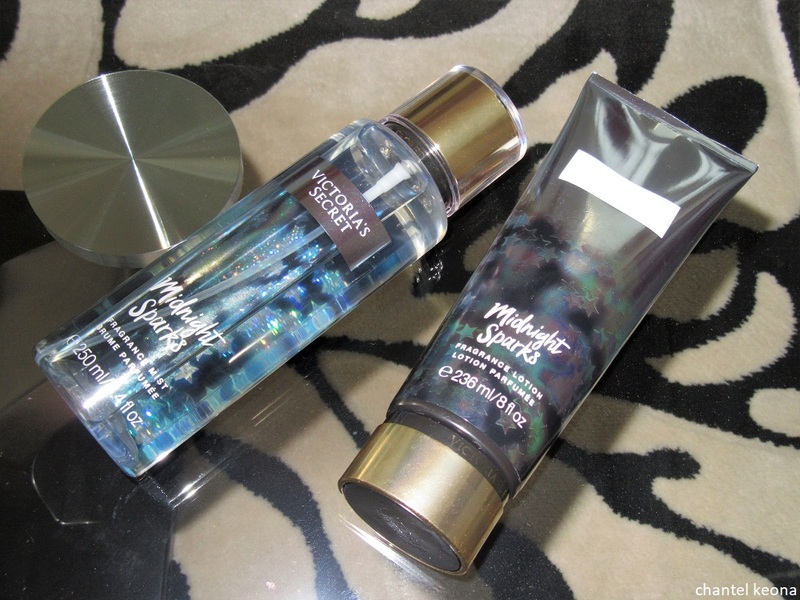 I absolutely love this Midnight Sparks collection. It smells so fresh and clean. I have extremely dry skin in the winter so this lotion is great because it is super thick and keeps my skin so soft and smooth all day long. I am obsessed with all Victoria’s Secret perfumes and this is no exception. Stay tuned because I will be sharing another favorite of mine real soon. What perfume are you currently wearing? Let me know in the comments. hey! I would love any feedback that you have on my blog 🙂 thanks for the comment!